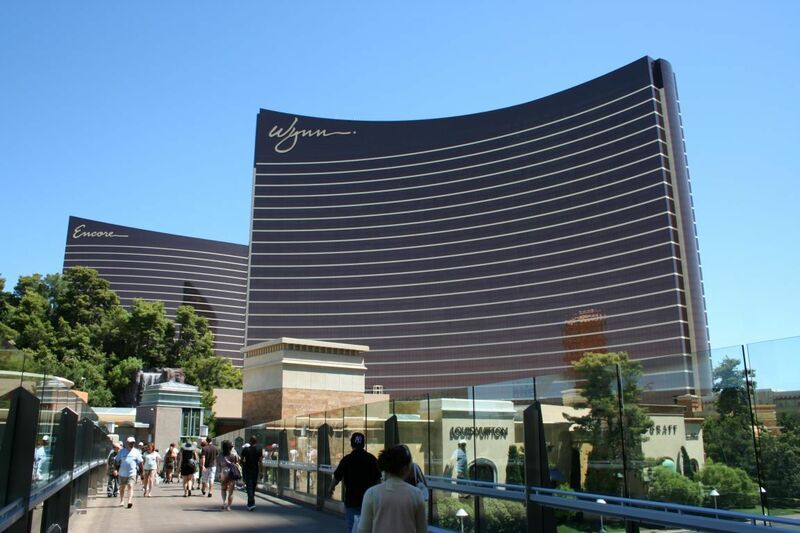 The Wynn Hotel in Las Vegas is a luxurious five star resort situated at the northern end of the Las Vegas strip. This elegant Las Vegas hotel, built by the infamous Steve Wynn, consists of 2,716 of Las Vegas’ greatest guest rooms and suites, all equipped with the best amenities, luxuries and views that Las Vegas has to offer. From elegant restaurants, to vibrant, popular nightclubs – The Wynn resort in Las Vegas does it all, in great style too. 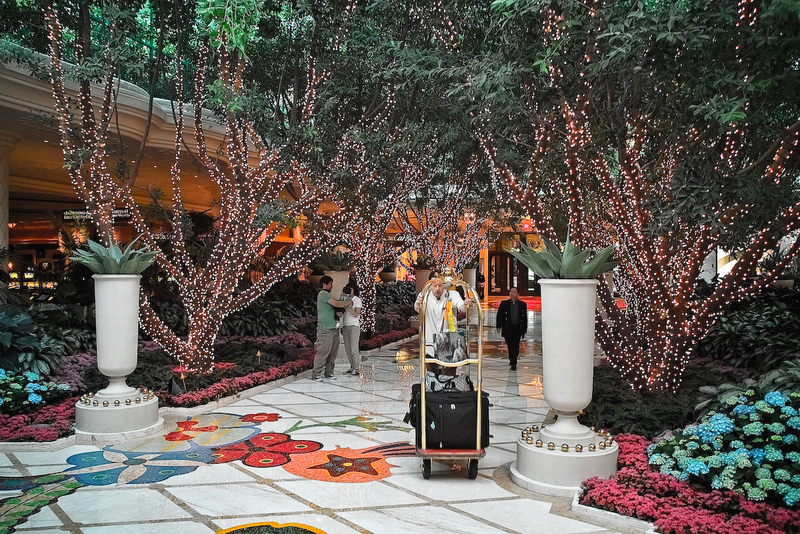 Guests are welcomed to the Wynn Las Vegas by a stunning lobby, decorated in the most elegant floral style. 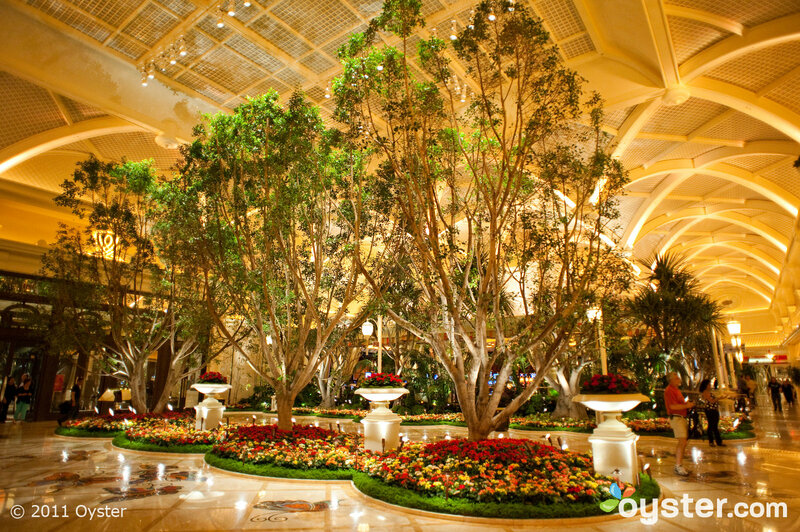 As soon as you enter the Wynn Las Vegas you are met with astonishing decor, colour and beauty. Suspended from the ceiling, parasols dance in time with music and the atmosphere inside this luxurious resort is evident from the outset. Once welcomed into the resort, an array of signature restaurants bring world class dining to your doorstep, with a huge selection of beautiful restaurants to wet your appetite. At night, the resorts night clubs produce a great energy and guests are entertained by the greatest music, drinks and parties. The amenities, attractions and services offered at the Wynn resort are virtually never ending and typical of a high end luxury hotel in Las Vegas. Private lagoons, an exclusive shopping centre with infamous designers, golf courses, spas, salons, business centres, meeting rooms and even a Ferrari and Maserati dealership are available for guests at the Wynn Resort. Any want or need is catered for and no corners are cut at the Wynn Resort in Las Vegas and it really shows when staying at this luxury resort. This $3 billion resort features the finest in nightly entertainment to ensure guests are never left without something to do. 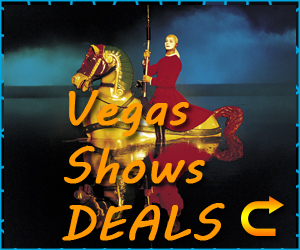 Typical shows include the magical Lake of Dreams and the water show known as Le Reve. The shows are highly entertaining and defiantly worth a watch when staying at the Wynn Resort. The guest rooms and suites are some of the finest you will see in Las Vegas. 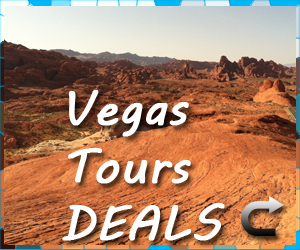 Large rooms are complimented by jaw dropping panoramic views of Las Vegas. The beds are large, luxurious and extremely comfortable – featuring high thread count sheets and feather beds with amazing quality mattresses. Flat screen TV’s are installed as standard and the bathrooms are sublime, featuring deep tubs, satin robes and comfortable velour slippers. The decor of all guest rooms and suites is modern, clean and fresh with creamy tones used throughout. The gym is constantly up to date, with the best equipment, machines and TV’s to keep guests entertained while working out. The spa is clean, fresh and extremely pretty. The pool area has four oval-shaped numbers connected by some stretches long enough for laps, plus a “European sunbathing” area that includes outdoor blackjack tables. 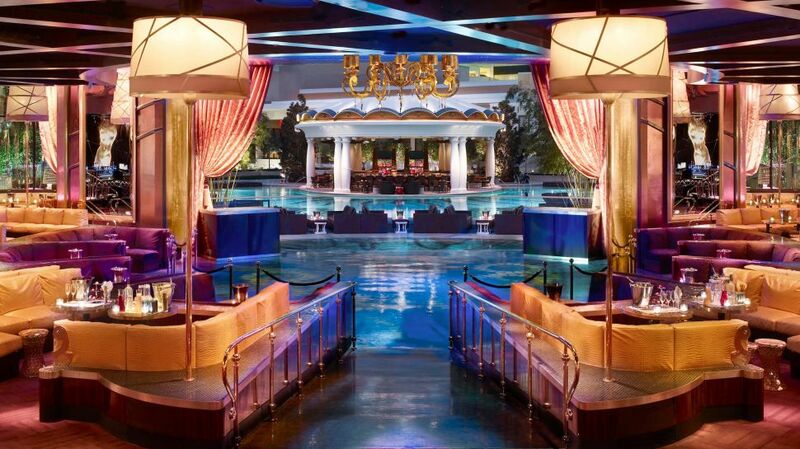 There is no lack of places to eat, drink and be merry at the Wynn Resort. Places to eat are always available, with incredible restaurants such as the Wynn Las Vegas Buffet, Red 8 and Bartolotta all serving some of the finest dining in Las Vegas. The shopping centre features some of the most well known names in fashion, including Chanel and Gaultier. 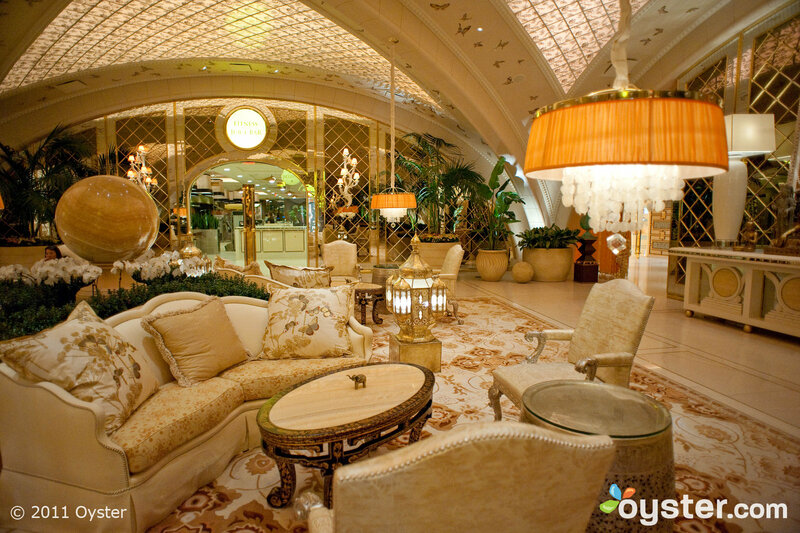 The Wynn Las Vegas truly does offer its guests everything they would ever need. 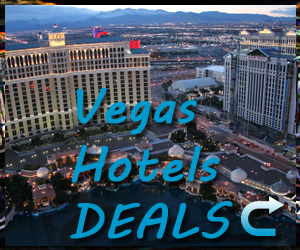 Shopping malls, restaurants, night clubs, bars, pools, spas, golf course, casino and even wedding chapels! 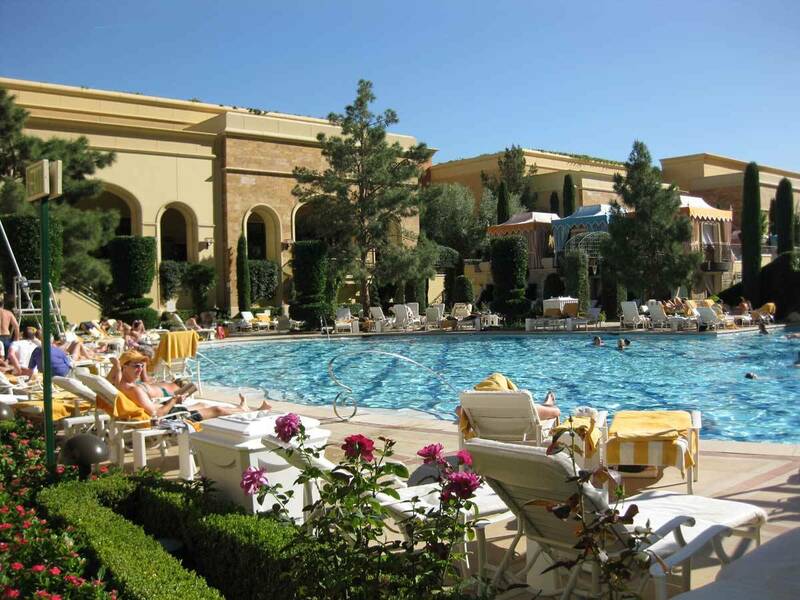 If you want to stay in a luxurious, grand hotel in Las Vegas then the Wynn Las Vegas is defiantly for you!